Just Who Does the CIA's Work? CIA personnel wait as President George W. Bush visits CIA Headquarters in Langley, Virginia, March 20, 2001. With Baghdad continuing to burn and the CIA still broken, you would think there would be more important issues for the Democrats and the White House to fight over than whether or not to make the intelligence budget public. But that is precisely what is at issue in a nasty spat currently going on between Senate Democrats and Republicans over the 2007 intelligence authorization. President Bush and Senate Republicans say they object to the Democrats' draft authorization because of provisions like making the overall intelligence budget public and creating a statutory inspector general for the Office of the Director of National Intelligence. Bush said last Thursday that unless these and other provisions that add Congressional oversight of the intelligence community are stripped from the authorization, he will veto it. But does anyone seriously believe Osama bin Laden would be deterred from attacking the United States if he found out we are spending more on intelligence than everyone thinks? I called around to check with my former colleagues. "Who cares whether the intelligence budget is $25 or $75 billion?" a recently retired CIA officer told me, bringing up only one real problem that bothers him. "The entire budget is being flushed down the drain  into contractors' pockets." He has a point. With contractors rumored to make up 50-60% of the CIA's workforce it is difficult to tell who is running the place. The contractors' mantra is that the CIA needs more contractors to fix it. 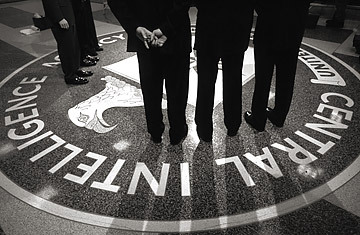 Management is too beleaguered and on the defensive to do what is really necessary  rebuild the CIA from top to bottom. My ex-colleague went on to say that the problem is most evident in Iraq. Today in Baghdad a private contracting company, which I will leave unnamed, decides where CIA officers can go and whom they can see. This may sound like inside baseball to a lot of people, but what it means is the contractor is in charge, essentially determining who the CIA's sources are. And the contractor makes no bones about it: his goal is to hold on to his contract, not whether the CIA gets Iraq right or not. I keep hearing other horror stories out of the CIA. How it continues to hemorrhage experienced field officers, how the place is demoralized, how the Pentagon still rides roughshod over it. I am told that it has gotten so bad that the CIA has stopped cooperating with some parts of the military because they're involved in activities that violate statutes that govern the CIA. I asked the CIA if it was losing people and whether the percentage of contractors is in fact that high. In an e-mail statement, a CIA spokesman wrote me, "If you're going to write about your former colleagues, please get some facts. The agency's total attrition rate  retirements, resignations, and separations  is low, running under 5%. To me, that says good things about morale. Your figure for contractors is well off the mark, and you can expect that population to decrease as our force of staff officers continues to grow. As for Iraq, agency officers lead the agency presence there and make the key operational decisions. Finally, relations with the military are strong, but we are working to make them better still. An intelligence officer constantly evaluates his sources  yours appear to need improvement." I guess, like the budget, the percentage of contractors in the CIA is a well-guarded secret. If it does not already have the authority to obtain that figure, it is one the Senate might ask for. In the meantime, no one at the CIA, the Pentagon, the FBI, and the Federal Aviation Administration has been fired or reprimanded for 9/11. Likewise, no one has come up with a workable plan to make sure the intelligence community does not produce another flawed National Intelligence Estimate, one that justifies a war with Iran. Congress is not an ideal institution to oversee the intelligence community, but it is all we have. And in order to help it do a better job, we probably do need to give it more oversight. At the same time I would feel better if it were taking on real issues of concern, not just worrying about how much we've been overpaying for bad intelligence. When the bill comes due, the price tag will be the least of our worries.